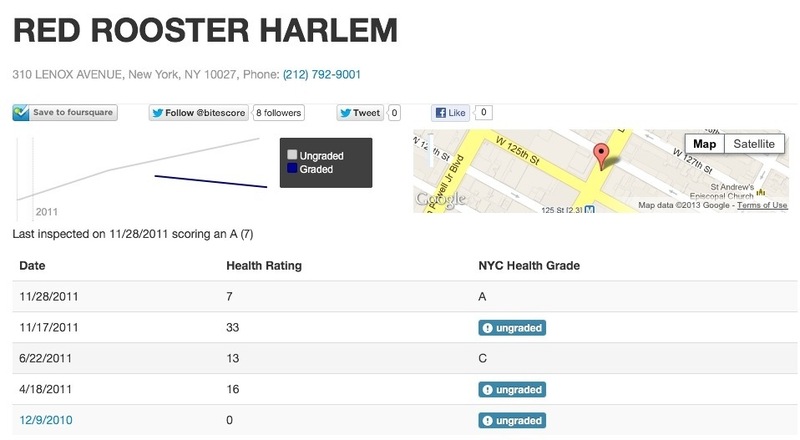 Want to know NYC health inspection grades on Harlem restaurants in one click? 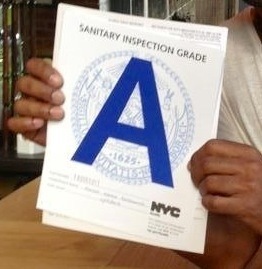 Try BiteScore | HarlemGal Inc.
Maison Harlem, the French bistro located on 127th Street and St. Nicholas Avenue, recently posted a picture on Facebook of their sanitary inspection grade they received from New York City’s Health Inspection Department. It was good news. The new Harlem restaurant received a big fat “A.” Now what if you wanted to keep track of that grade, know their rating, and every time their graded by the NYC Health Inspection. BiteScore allows users to conveniently access restaurant health inspections when ordering food, making reservations, and browsing reviews online. Currently integrated with Seamless, OpenTable, Zagat and MenuPages users are able to view current health ratings when accessing restaurant pages. To test how BiteScore works, I choose Red Rooster Harlem as the guinea pig. I went to the search function at the top right hand corner of the page. Hit return and the restaurants current grade is posted. Click on the highlighted area of the restaurants’ name and it shows their rating and grading history by the health inspection department. Check out BiteScore and comment here on whether this online tool is useful in knowing how Harlem restaurants make the grade. This entry was posted in business, drinks, food, Harlem, health and wellness, Maison Harlem, New York, New York City, NYC, Red Rooster Harlem and tagged 10026, BiteScore, Food, Harlem, harlem restaurant row, Harlem Restaurants, Maison Harlem, NYC Health Inspection, restaurant health inspections, technology. Bookmark the permalink.